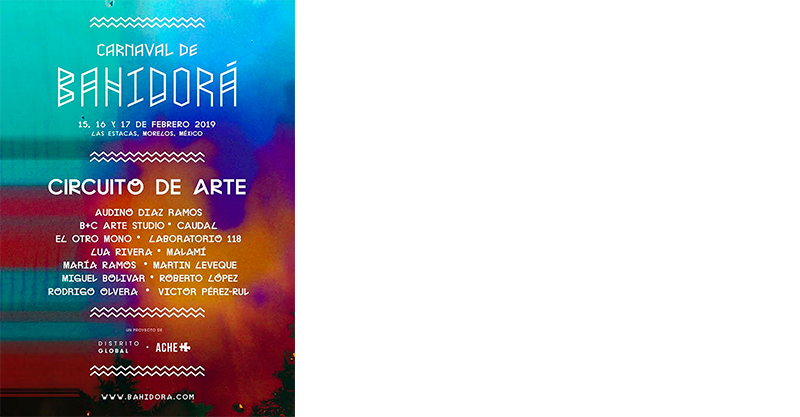 Music festival that takes place in a dreamlike jungle. Bahidorá exists; it’s an imaginary place, It’s the place where your creativity springs from, Your most sensitive and conscious state. A space of freedom and lucidity. 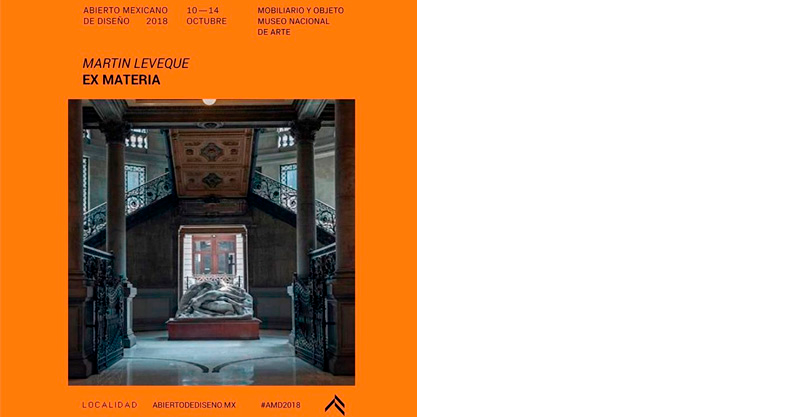 AMD is a festival whose objective is to show how art and design can become a tool that responds to the cultural, social, environmental, economic and political issues that concern us all. 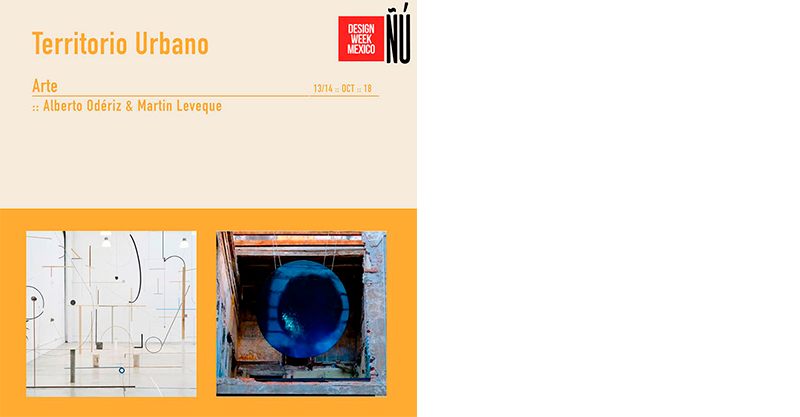 The locality theme provokes a series of reflections, and proposals giving direction to the curatorship of this edition. 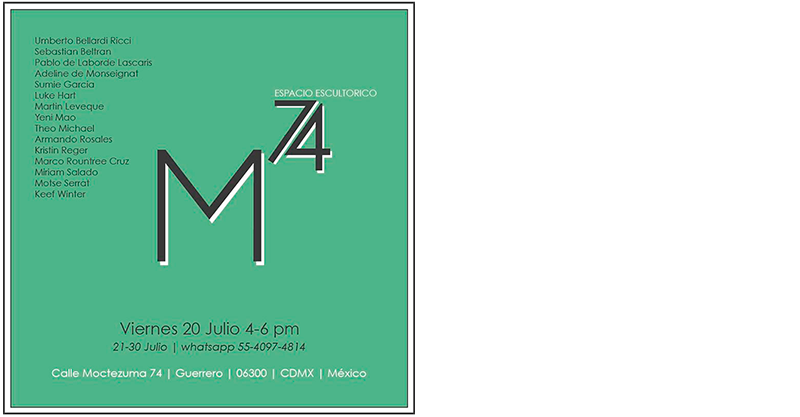 Ephemeral gallery gathering emerging talents living in México. 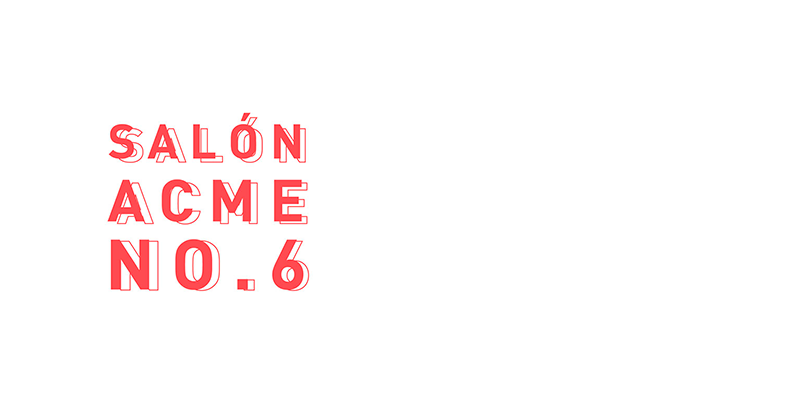 The concept behind Salón Acme space arises from the old art halls that were held annually in various cities around the world and that offered a sample of the artistic proposals of the moment. The contemporary Salon includes the work of both emerging and established artists to welcome all kinds of expression and artistic disciplines. MUTEK is an international platform for the dissemination and development of digital creativity in sound, music, audiovisual arts and immersive technology. Its mandate is to provide a platform for the most original and visionary artists currently working in these fields, with the intention of providing a space of initiation and discovery for audiences. The Hidden Kitchen was born from a meeting between a French passionate about gastronomy and a Mexican chef who returned from a great culinary journey started in Europe. With the desire to emancipate themselves from the established codes and awaken a new emotion in the diners, Sandie Hamon and Gerardo Aguilar embarked on the adventure of pop-ups: Why not take dinner out of the restaurant's frozen limits? Why not install a kitchen and a table ephemeral in an unusual place and each time different? Why not gather illustrious strangers at the same table and serve them a surprise and high standard menu? Nowadays, with this same objective of creating unrepeatable gastronomic experiences, The Hidden Kitchen also accompanies the companies in designing original corporate events. 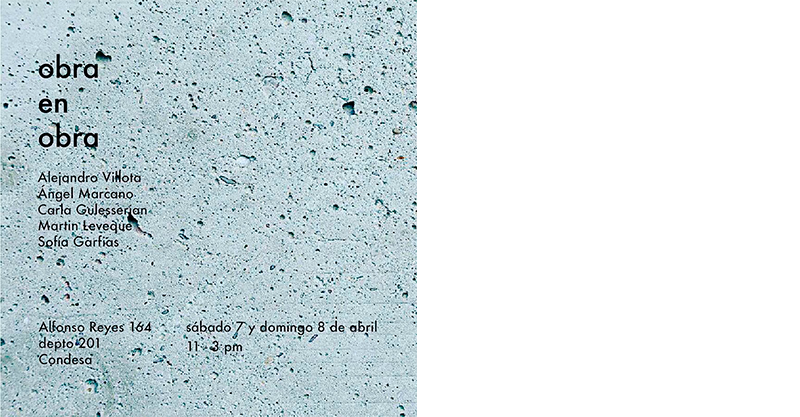 Territorio Urbano is an experimental laboratory, through workshops and art exhibitions open to the public, it seeks to create connections and collaborations in the public space with different cultural institutions, galleries and residents from different areas of CDMX. MUTEK is an international platform for the dissemination and development of digital creativity in sound, music, audiovisual arts and immersive technology. Its mandate is to provide a platform for the most original and visionary artists currently working in these fields, with the intention of providing a space of initiation and discovery for audiences. 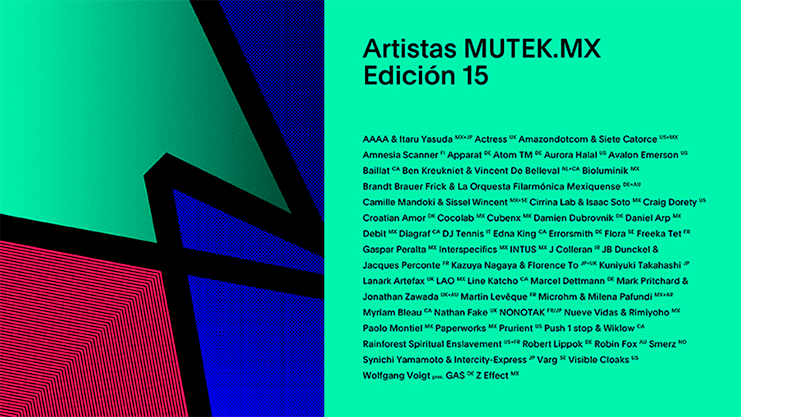 A renewed sense of purpose and mission drives the design of the 14th edition of MUTEK in Mexico City, running November 22 to 26. 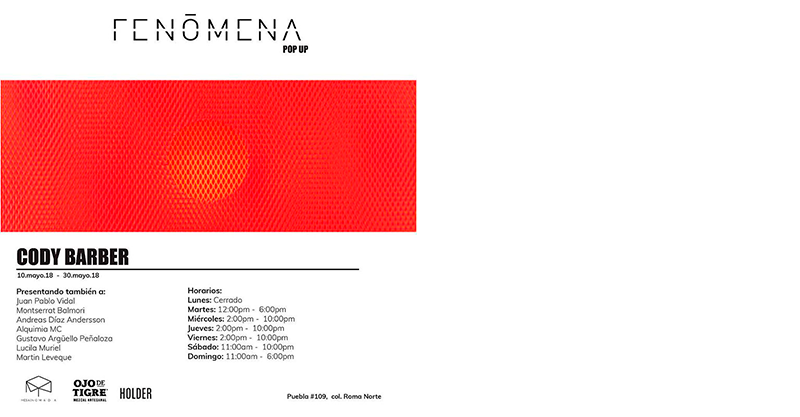 Constantly rethinking and remodelling the festival as a vehicle for varied and revelatory experiences, the trajectory of this year’s programs are intended to create a distinct narrative and provide an opening on the more adventurous sides of electronic music and digital creativity. Expect new spaces, unprecedented artistry and novel sensations as MUTEK embarks on another unique journey to bring its community and the world together.